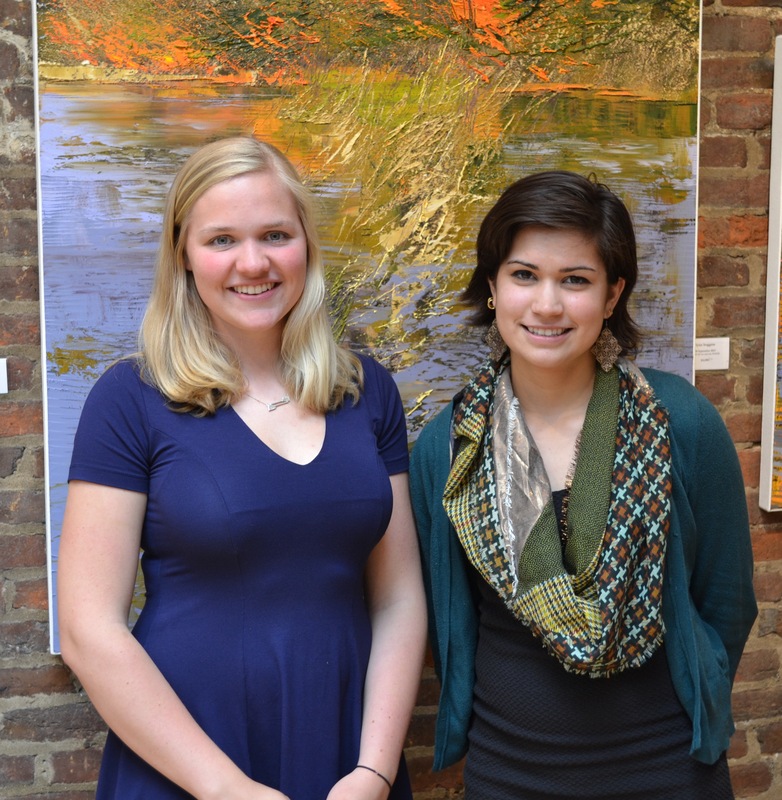 Kelin Baldridge and Lily Carlisle-Reske are spending their three week Senior internships at the gallery. They are both interested in pursuing careers in art. We are so excited to give them a taste of the many aspects of the art world! Following are their short biographies. Kelin Baldridge fell in love with art at an early age and continues to identify art as her passion. Kelin is finishing up her senior year at St. Stephens and St. Agnes School, where she enjoyed AP Art History and AP Studio Art, among other classes. In AP Studio Art, Kelin completed a concentration on vessels, executed in oils, pastels and watercolors. While studying art history, Kelin developed a particular affinity for Baroque, Romantic, Realist, and Early Christian art. After attending and majoring in Art History and French at University of Pennsylvania, Kelin hopes to continue her studies in graduate school to focus on art of particular interest. She ultimately would like to be an owner and curator of an art gallery dealing with both contemporary and historic pieces. Kelin’s passion for art is complimented by her other love, rowing. She is a varsity rower and will continue to row Division 1 at the University of Pennsylvania. She is ranked fifth nationally among U.S. Junior women in the Single Sculling event. Lily Carlisle-Reske is a soon to be graduated T.C. Williams Titan, and will begin her first year at Smith College in the Fall. She has always held a high appreciation for art since her days running around the National Gallery with her family on weekends. After taking her school’s AP Art History course as a sophomore, she has been determined to pursue art as a career. This past year she worked as a teacher’s assistant for AP Art History, giving lectures and organizing field trips to the National Gallery, Cathedral, and other local galleries. Lily has worked at the Alexandria Pastry Shop and Catering Company for three years (serving, managing, and advertising for corporate clients). In addition she has been heavily involved with the T.C. Williams Theatre Department, acting in over 8 shows and assisting in set design and construction for three. At Smith, she hopes to double major in Art History and Environmental Science, with a minor in Museum Studies. Her favorite past times include visiting museums, studying environmental policy, acting, vegan cooking and baking, reading, painting, and poetry. Working at the Principle Gallery is the best internship she could hope for, and is so far amazed at her fortune to be surrounded by beautiful, insightful, and innovative art as well as the extraordinarily efficient and knowledgeable staff. She has learned so much about running a gallery in only a week, and is sensing that her brief internship here will become an essential stepping stone to her future academic and professional career in the art world.